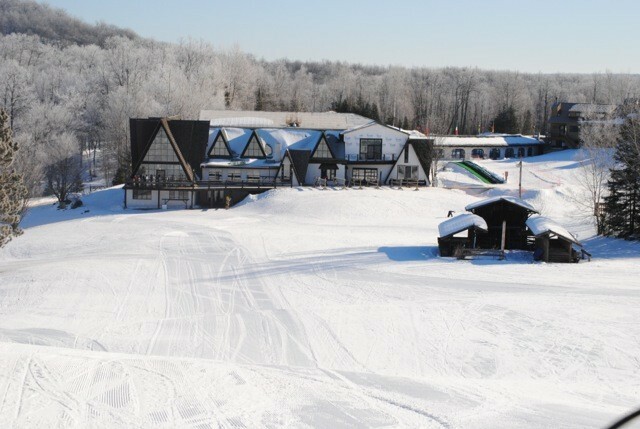 Whitecap Mountain is a four-season resort is located in the heart of the ancient Penokee Mountains. It is one of Wisconsin's largest ski resorts with a vertical drop of 400 feet and skiing and riding available on 400 acres. Choose from among Whitecap's three mountains: Thunderhead, Eagle's Nest, and the Whitecap Mountain. Thirty-six trails/runs offer a variety of options to match all ability levels. It's one of the few Midwestern ski areas where you will actually need a trail map to navigate the three mountains. Eagle's Nest is one of the great heartland cruising mountains. There are six chairlifts, a Magic Carpet for beginners, and two lifts on the "bunny bowl" that carry over 7,000 skiers an hour. The Austrian-style ski village receives over 200 inches of snow yearly. Childcare available for ages 3-10, with lessons for those 4-10. Ski and snowboard school, pro shop, ski/board rental and repair shop, Kinderschule, country store, indoor swim and spa. Bakery/deli, cafeteria, fine evening dining, and lounge.